The dojos of the Nakayamakai exist to pass on the tradition of Nakayamakai KoAikido [中山会康合氣道] (also know as Nakayamakai Kokyuho Aikido [中山会呼吸法合氣道]). KoAikido means "The Healthful or Peaceful or 'Shalom' Way of Spiritual Harmony", while Kokyuho refers to the spiritual respiration which is at the root of all techniques and is reputed to aid in maintaining youth and vigour. This is a tradition of bugei [武芸, "martial Art", for lack of a more complete translation], a non-competative, non- combative, martial Way [武道, Budo] approached in a classical manner. It may be thought of as a semi-classical Budo [半古武道 hankobudo] continuation of the work of Ueshiba Morihei [植芝盛平] 14 Dec 1883 - 26 Apr 1969AD, also know as 大先生, O-Sensei. O-Sensei founded Aikido in c1942 but was a confluence of many streams of older Japanese martial Ways and arts. Some say one stream may be traced to Prince Sadazumi Teijun, son of the Emperor Seiwa (850-880 AD) who passed his teachings on through the Minamoto family. Yoshimitsu Shinra Saburo is said to have enriched the methods and trans- mitted them to the Takeda clan of Aizu. Takeda Sokaku [武田惣角] of Daito-ryu [大東流合氣柔術] was the major teacher of O-Sensei. Another important stream is that of the Koryu [古流], classical warrior schools centred on the sword [刀, katana], which have been so central to Japanese culture and history: Muso, Itto, Nen, Kage and Shinkage (especially Yagyu), Kashima, Katori, etc. A third tributary is the spearwork [槍術]of the Hozoin monks. A fourth, the jujutsu of the Kito ryu, Tenjin Shin'yo ryu and Goto-ha Yagyu Shingan ryu. A fifth current is Kodokan Judo ; a sixth, the teachings of the yamabushi [山武士] mystics. Further suggested fonts include his swordsman friends Nakayama Hakudo [中山博道] and Sugino Yoshio [杉野嘉男], a possible family tradition of Budo (Aioi ryu? ), and what Ueshiba called "Tenshin" [天心], Divine inspiration, perhaps the strongest influence of all. O-Sensei claimed that his Aikido was very ancient and brand new. During his lifetime O-Sensei moved constantly towards more and more gentleness, harmony, and spiritual and technical power. One of O-Sensei's greatest students was Shioda Gozo [塩田剛三], also called 館長先生, Kancho-sensei, founder of Yoshinkan Aikido [養神館合気道] and of the world-wide Yoshinkai [養神会]. Kancho-sensei was a major teacher of Kimeda Takeshi shihan [木目田武市師範], the first person to teach Aikido in Canada. Douglas Skoyles, after years in other martial arts and Ways, was privileged to study under Kimeda sensei beginning in 1966. The Four Points of Tohei Koichi [藤平享一], founder of Shinshin Toitsu Aikido [心身統一合気道] and of the Ki no Kenkyukai [気の研究会] are fundamental to the Nakayamakai. The teaching methods of Mochizuki Minoru [望月稔先生] founder of Yoseikan Budo [武道養正館] have also been a part of our formation. The example, support and teaching about Ki and healing of the late Nakayama Goichi Okina [中山五一翁] richly nourishes our methods. It is after Nakayama sensei that we are named. He adopted Father Skoyles into the Nakayama clan in 1988 with the name 中山黒川, and as 「中山の息子、中山の 侍」 "son and servant" of the family. 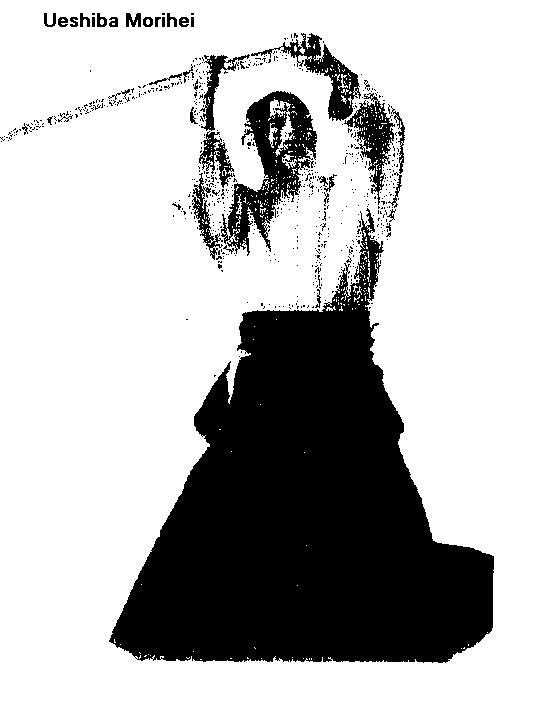 Many arts, Ways, and associations have grown from O-Sensei's work including the Aikikai (by far the largest organization), Keijutsukai, Ki no Kenkyu Kai (Shinshin Toitsu Aikido), Korinkai, Manseikan, Nihon Aikido Kyokai (Shodokan, Tomiki Aikido), Nihon Goshin Aikido, Otsuki ryu, Seidokan, Shindo Iten ryu, Shin'ei Taido, Shin Riaku Heiho, Tendokai, Yoseikan, Yoshinkai and many independant associations such as that of the estimable David Lynch of New Zealand, our own fellowship, and others.